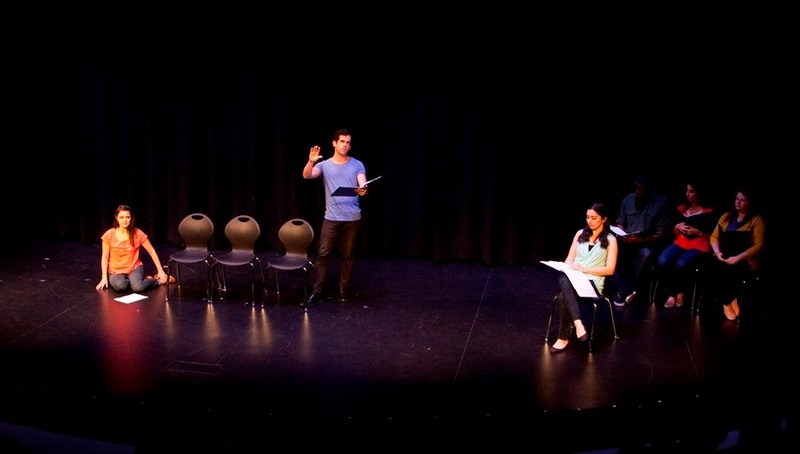 Discover the diverse voices of Texas’s young dramatists. Are you an aspiring high school playwright living in Texas? Then you can be part of the Texas Young Playwrights Exchange! TYPE participants develop their dramatic writing skills through online mentorship with professional playwrights. The workshop culminates with a weekend of staged readings at Alley Theatre. Interested writers 14 to 19 years of age who live in the state of Texas should submit original plays no longer than 13 pages in length. Each script should require no more than 5 actors (parts can be doubled). Scripts may be written in prose or verse. Each play should include a cover page with the title of the play and the playwright’s name, mailing address, phone number, email, date of birth, and grade and school. All plays should include the work’s title and page numbers in the header of each page. Character, dialogue and stage directions must be clearly distinguished and follow Dramatists Guild’s Modern Play Format. Plays should be submitted as PDFs. Writers may not submit more than one script. Immanuel & Helen B. Olshan Foundation, Inc.